Once I know how useless something is, I really don’t enjoy being reminded of its uselessness. Alas, as I’m quite aware, the world doesn’t care much what I do or do not enjoy. And, so, I couldn’t ignore this reminder: “Capital projects: Creating digital-first organizations” (hat tip to Theo Priestly for the share). I’ve known McKinsey and its ilk are useless for more than 30 years. I learned of that uselessness while collecting a bi-weekly (if ill-gotten) paycheck from a major insurance and financial services organization (a favorite phrase). At the time, said organization was so heinously mismanaged it decided to spend some of the money it was losing to purchase a study from McKinsey, thereby appending McKinsey’s bureaucracy to its own stultifying swamp for the purpose of having McKinsey conduct a cost/benefit analysis (thereafter memorialized as CBA). The fact McKinsey produced neither itemized costs nor discernible benefits troubled no one. But that statement is as gratuitous as the outcome was predicable. How About a Little Privacy? VP: [Name withheld, the president to whom he reported] says you’re on the CBA list. Me: Are you telling me to get my resumé in shape? Me: Don’t forget to flush. I hung in there (at the company, not in the Men’s Room) for a few more years that I’ll never get back. 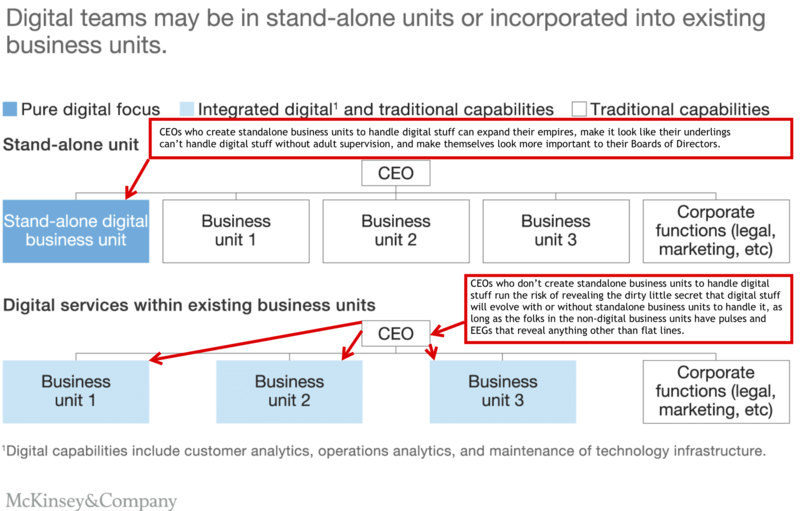 Many players struggle because they don’t establish an operating model that supports digitization and innovation … to support innovation and value creation in core business activities. If you fall into the trap of trying to extract any substance from that cretinous, sophomoric drivel, even if you opt to subject yourself to every one of its SEO-stacked 6,240 words as part of the extraction process, lower your expectations before you start. It’ll take you quite a while, but you’ll still come back empty-handed. 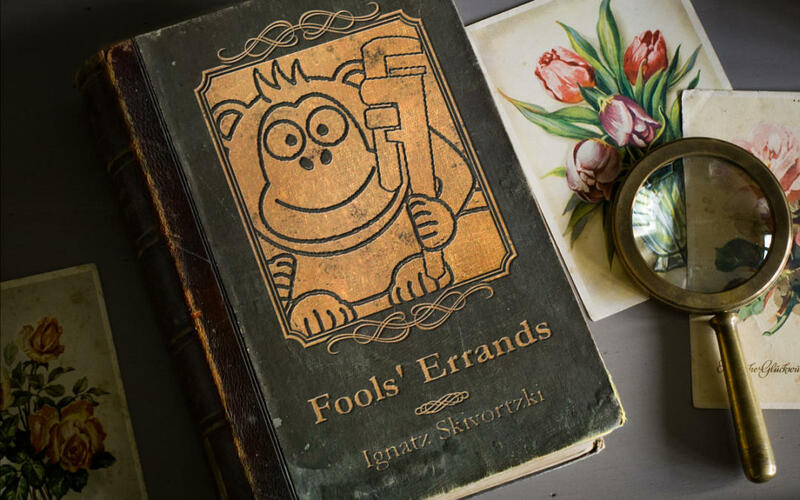 Like fetching a bucket of steam or a left-handed monkey wrench, trying to glean anything from that self-important babble is a classic fool’s errand.